Tayo NaMAN! The Manhood Show! is Far East Broadcasting Company’s newest radio program, this time, catered for the MEN. 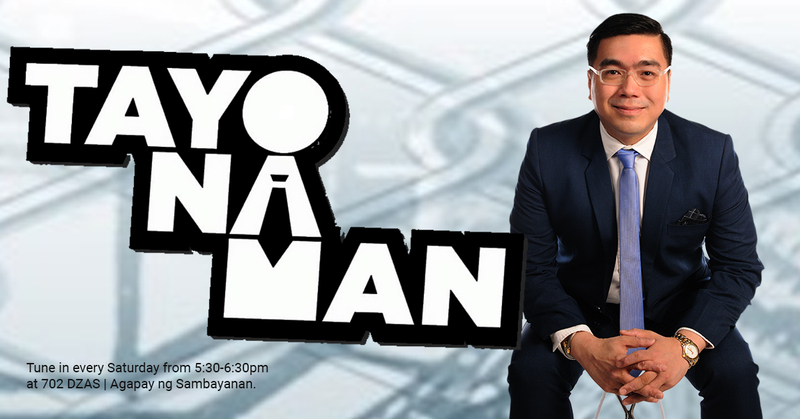 The show is hosted by author and speaker, Mr. Jayson Lo. Heard at 702 DZAS AM Band on Mega Manila and via febc.ph on internet streaming. Every Saturday, 5:30 PM – 6:30 PM. Tayo NaMAN! centers on the many issues about Manhood and what it means to be a REAL MAN. Pilot episode aired on August 6, 2016.